Moving advanced mathematical theories into the laboratory to become new solutions for the Internet of the future demands heavy equipment. Researchers have set up a datacentre with several servers to study storage capacity and energy efficiency. The photo shows Associate Professor Daniel Rötter. Photo: Lars Kruse. The Internet is undergoing a degree of change that only few can imagine. The flow of information is in explosive growth, and this places extreme demands on the way we compress and store data. Researchers are now getting started on the creation of completely new conditions for communication between humans and things in the network. There are currently around 12 billion devices connected to the Internet. Researchers believe that this figure will increase to close to 500 billion during the course of the next decade. We are thus well on the way to the future Internet of Things (IoT), where all things possible will use sensors to find their way to the Internet and communicate with each other. This development will obviously lead to a colossal growth in data traffic and increase our storage requirements dramatically. It is therefore necessary to find new methods to compress, send, index and store data. ”The next few years will bring with them sweeping changes on the Internet. Our proposed concepts will make it possible to pack data so that it fills 10 to 100 times less space than it does today. This is a dramatic reduction based on a complex mathematical theory that we are developing and getting ready to implement in practice,” says Associate Professor Daniel Enrique Lucani Rötter. Associate Professor Rötter expects that, in the longer term, his method will reduce our need for hardware and electricity consumption for cooling at datacentres. He is one of the world’s leading Internet and Cloud technology experts, and in just ten years he has been responsible for several scientific breakthroughs, started one company, and taken out eight commercial patents and licensed them to three companies so far. Internet Denmark’s national elite research programme, Sapere Aude, has invested huge sums in Associate Professor Rötter’s research. The funding will help solve some of the major challenges facing the Internet: lack of storage space and efficiency. “We’ll build on our existing scientific work and develop new concepts for the Internet of Things that make it possible to store data more efficiently to an extent we can’t even imagine today,” he says. What is special about the Internet of Things is that it is partly composed of sensors that generate a flow of dynamic data that is difficult to predict. This requires the system to make multiple updates, and therefore, an agile compression of the data that allows us to perform swift updating is crucial in the future. 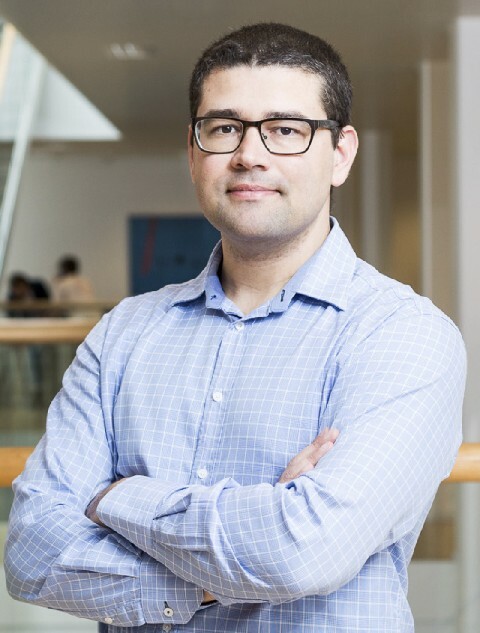 As a newly appointed research leader at Aarhus University, Associate Professor Rötter will be developing a new method to store billions of files on the Internet. “We’re working on a promising method that can make it possible to compress data in a significantly more efficient way by indexing and identifying similarities in data fragments. It’s basically about getting away from compressing individual files to compressing across multiple files from different users and devices,” he says. Researchers at Aarhus University are collaborating with Massachusetts Institute of Technology (MIT) on the project, and the knowledge generated from their activities will help ensure that Danish engineers possess competitive skills within the Internet of Things and Cloud technologies.